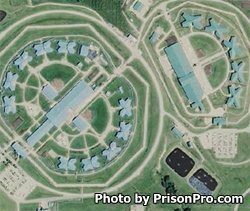 Crossroads Correctional Center is located in Cameron Missouri. It is a maximum/medium custody prison that can house a maximum of 1,470 adult male inmates. Programs offered at Crossroads Correctional Center include restorative justice, Alcoholics Anonymous, GED and Adult basic education courses. This facility participates in food visits twice per year, contact the prison for current dates and unit eligability. Visitors must be approved prior to visiting Crossroads Correctional Center. You can get approved by completing and submitting a Missouri visitors application, after processing the inmate will inform you of your visiting status. Visitation occurs on Fridays, Saturdays, and Sundays at 9:30am-1:30pm, and 2:30pm-6:30pm.